At least 25 Canadian women have developed a rare cancer linked to breast implants — and almost all of them had the same type of textured implant, according to researchers. But Health Canada has no plans to remove this implant from the market or to directly alert Canadian women who have the implants, an investigation by Enquête and Radio-Canada has shown. After the launch of this investigation, Canada's health minister announced a pledge to strengthen oversight of medical devices, as well as to improve transparency around the country's approval and surveillance systems. Learn more about your medical device by searching the CBC News database of Health Canada records. At age 44 and after two kids, Terri McGregor knew she wanted to give herself a gift. "I simply wanted to restore my breasts to what they were before having children — that's it," said the North Bay, Ont., woman. McGregor's surgeon recommended a Biocell textured implant, made by Allergan, saying that the implant's textured surface — similar to very fine sandpaper — better adheres to the chest tissue and increases stability. For six years, McGregor lived what she calls her "honeymoon phase" with her implants. "I felt beautiful and I felt good — I had no problems," she said. Then in 2015, after she turned 50, McGregor went for her first routine mammogram. The examination caused both her implants to rupture. She needed to undergo a replacement surgery. "When they opened me up, the silicone gel was like Jello in my chest. It had to be mopped up, flushed out," she recalled. Her problems were just beginning. During McGregor's operation, the surgeon removed the ruptured implants and also her capsules, a layer of scar tissue that forms around an implant after it is placed. One of those capsules had an unusual appearance. "There were three tumours measuring about five centimetres each," she said. "You could see the cancer with a naked eye." McGregor had developed a rare form of cancer known as breast implant-associated anaplastic large cell lymphoma, or BIA-ALCL. Health Canada estimates that one in 12,000 women with textured implants will develop BIA-ALCL, noting an occurrence rate of one case per 24,177 textured implants. Other studies around the world vary, putting the occurrence rate at anywhere from one in 1,000 women to one in 30,000. Globally, plastic surgeons have identified 615 cases of BIA-ALCL, including 16 deaths. BIA-ALCL is not breast cancer, but rather a type of lymphoma that often appears as a build-up of fluid between the implant and the tissue that surrounds it. 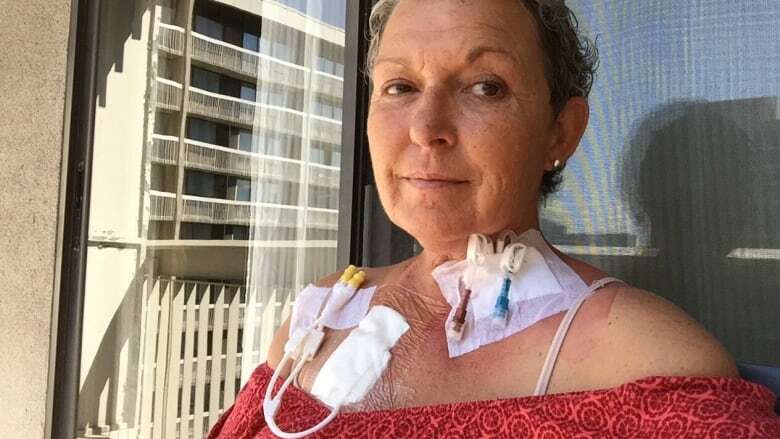 McGregor's diagnosis was bleak: The cancer had spread from her capsule to her lymph nodes and into her intestine and abdomen. 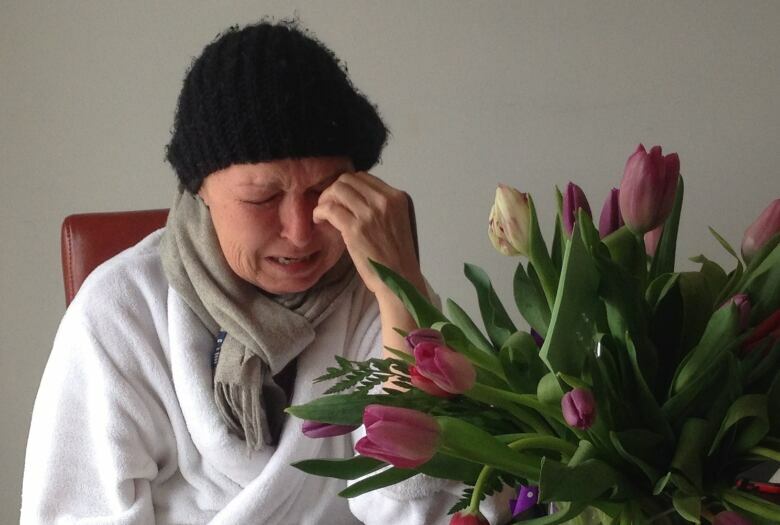 She ultimately underwent eight rounds of chemotherapy, but her cancer continued to grow. Doctors told her she only had a few months to live. "It was surreal; my breast implants were going to kill me," she said. "I started putting my affairs in order, to prepare myself to die." The U.S. Food and Drug Administration was the first agency in the world to identify a link between breast implants and cancer back in 2011. At the time, it said 34 cases had been recorded, with the first case dating back to 1997. By 2015, when McGregor received her diagnosis, 140 cases had been identified worldwide, including a dozen in Canada. All of the Canadian cases were linked to the Biocell textured implants made by Allergan — the same type of implant McGregor had received. But she said she was never told about the risk of developing BIA-ALCL. "I drive a Chevy, and when my truck has some kind of warning or alert, I get a letter from General Motors that says: 'Please take your vehicle to the dealership, you may have a problem,'" McGregor said. "So, why is it that General Motors will tell me if there's a problem with my truck, but I'm not told if there's a potential problem with a product that's in my body?" Last year, McGregor filed a civil lawsuit against Allergan, alleging that the manufacturer "did not fully and clearly" inform her of "all the dangers inherent in the use of its products that it knew or ought to have known." In the suit, McGregor also alleges that had she been made aware of the cancer risk after undergoing her breast augmentation, she would have "taken steps to have the implants removed." In a statement of defence, Allergan said that while breast implantation carries "certain inherent risks," it was not negligent in the "manufacture, design, development, quality control or testing" of McGregor's implants. The lawsuit is still before the court, and none of the allegations have been proven. On its website, Health Canada says only five Canadian cases of BIA-ALCL have been reported to the agency by manufacturers in the last 10 years. However, in the U.S., where medical device reports are made public, a database lists 20 cases of BIA-ALCL reported in Canada. The discrepancy suggests that Allergan reports the Canadian cases to the FDA in the U.S., but that same information does not reach Health Canada. In a brief statement to CBC News, Allergan said the safety of its products is supported by a large number of studies and more than a decade of clinical use in the United States and Canada. Allergan also said patient safety is a priority for the company. Two Canadian plastic surgeons — Peter Lennox and Mitchell Brown — have also been compiling data from colleagues across the country and have identified 25 women in Canada with BIA-ALCL. 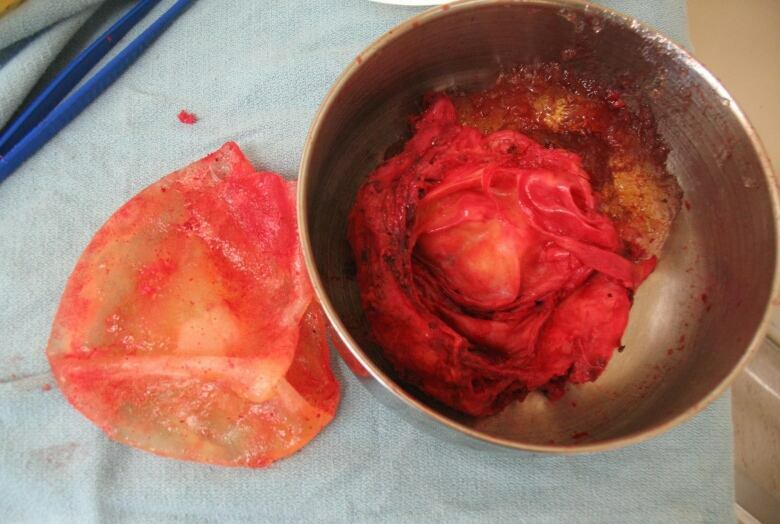 Of those 25 confirmed cases, they found 23 had Biocell implants. When asked about the differences in these numbers, Health Canada said it was made aware of the 25 surgeon-identified cases this past summer, and it is reviewing each case. The agency said it will publish an update once that review is complete. 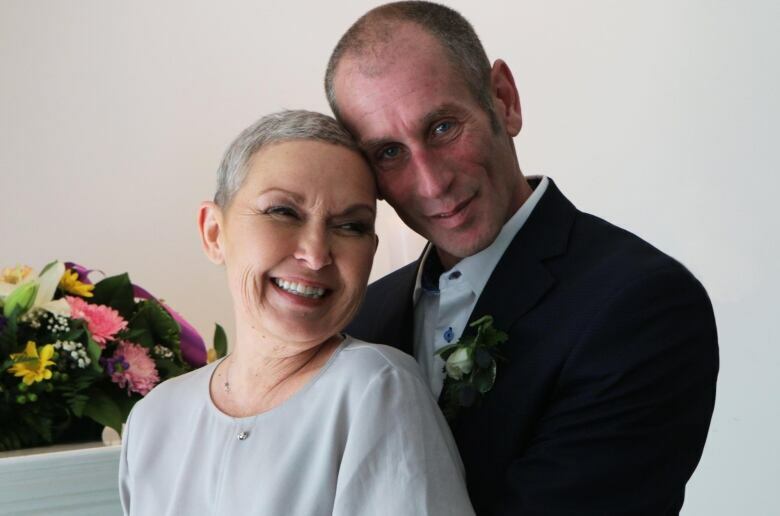 Just a few weeks after being told she was going to die, Terri decided to get married. "I look back at my wedding photos today, and I just think, 'What a shame that these photos have so much sadness attached to them.'" Shortly after her wedding, McGregor's doctors managed to get her access to an experimental drug called Brentuximab, a treatment only available to those whose chemotherapy has failed. After four doses of the drug, McGregor's cancer is today completely gone. Earlier this month, Brentuximab was approved by the FDA as a first-line treatment for anaplastic large cell lymphoma. For the past two years, McGregor has been urging Health Canada to require manufacturers to send safety advisories to all women with textured breast implants, in order to better inform them of the cancer risk. "Women with textured implants in Canada deserve a letter — not to alarm them, but to tell them they need to be on the lookout for symptoms of cancer," she said. Health Canada told Radio-Canada it currently has no plans to require such an advisory, saying it believes there is enough safety information about the risk of BIA-ALCL on its website and in the documentation provided by implant manufacturers. "Health Canada representatives have told me that they cannot tell manufacturers what to do. I say to them, 'Why not? You approved their products ... Why can't you tell them what to do? You're the regulator,'" said McGregor. Earlier this week, France became the first country to advise its physicians to switch to smooth-surfaced breast implants rather than the textured implants. 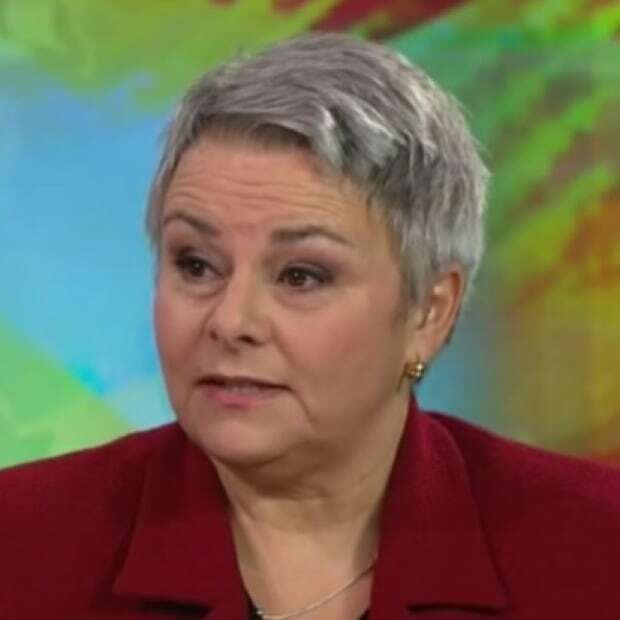 Madeleine Roy is a journalist with Radio-Canada's investigative team at Enquête.